OPI I Carol About You & OPI Snow Globetrotter are two of my favorite polishes from the new Gwen Stefani for OPI Holiday Collection. Actually, the entire collection of 18 polishes is stunning! 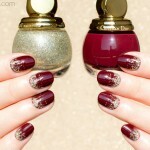 There are rich reds, deep jewel-toned colours, shimmering silver & gold plus 4 glitter bomb toppers. The creme colours and toppers work exceptionally well together and that’s exactly what we’re presenting today. 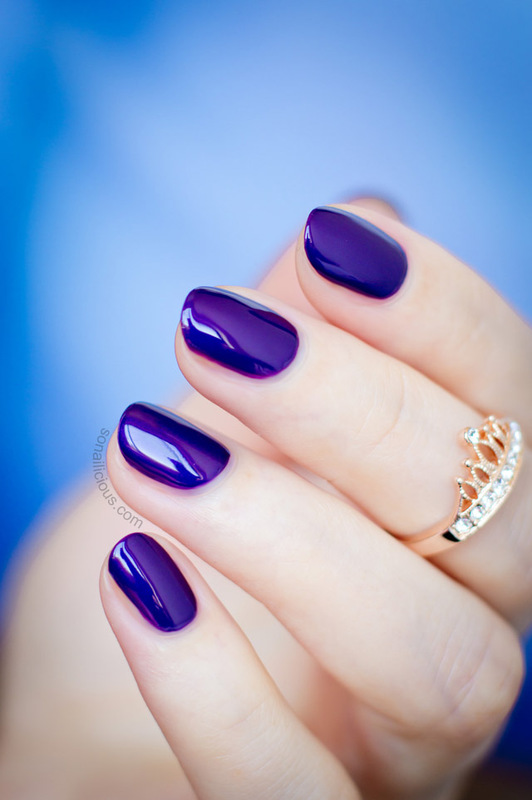 OPI I Carol About You is a rich amethyst colour with a slight shimmering effect that looks stunning on on it’s own. But of course, I couldn’t resist adding a coat of OPI Snow Globetrotter over the dark amethyst. 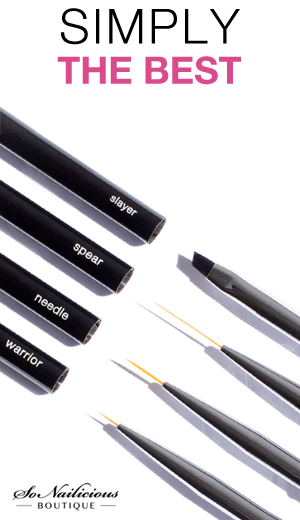 Formula: A fast drying, highly pigmented 3-FREE formula. Two thin coats is enough to get even coverage (2 coats pictured). Application: Signature OPI brush makes application very easy. For the glitter bomb topper, the high density of glitter particles ensures 1 coat is enough to get a great effect. Finish: High gloss, creme OPI I Carol About You can be easily worn without a top coat. 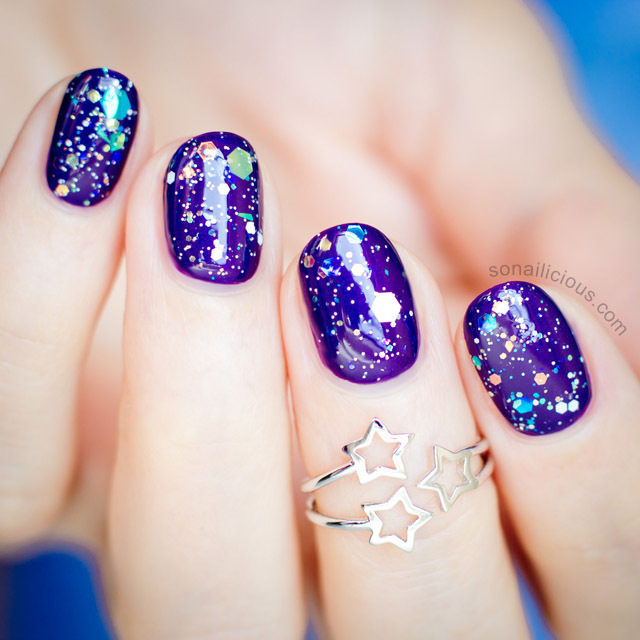 Generally we recommend 2 layers of a high shine top coat to smooth out a glitter manicure. Wearability: OPI polish usually last 4-5 days with a top coat. 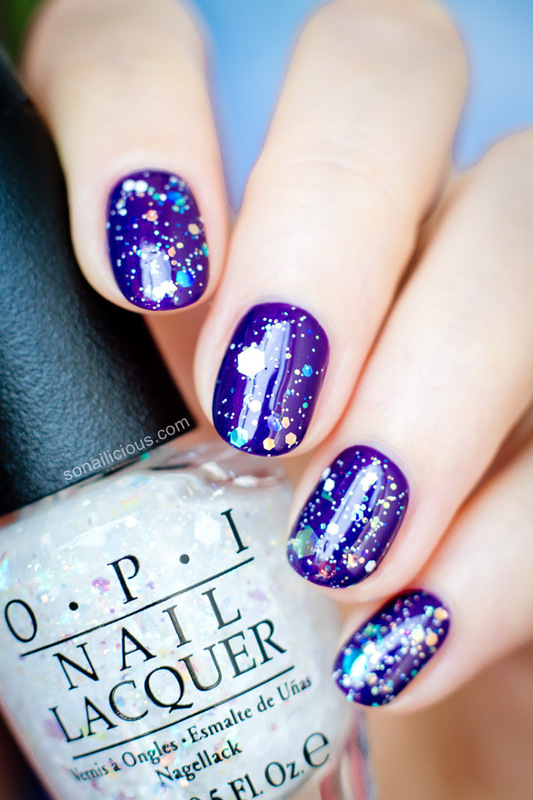 Nail Art: OPI I Carol About You – great for any kind of nail art and also quite beautiful on it’s own. 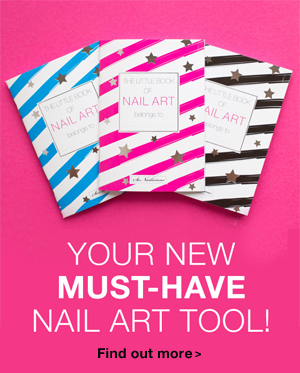 It’s perfect for evening manicures. OPI Snow Globetrotter looks best when paired with darker shades that allows the white glitter particles to stand out and the pearlescent glitter to shine brighter. Overall Impression: If you’re like me & you love dark nail polishes and glitter bomb toppers, Gwen Stefani for OPI collection is for you. 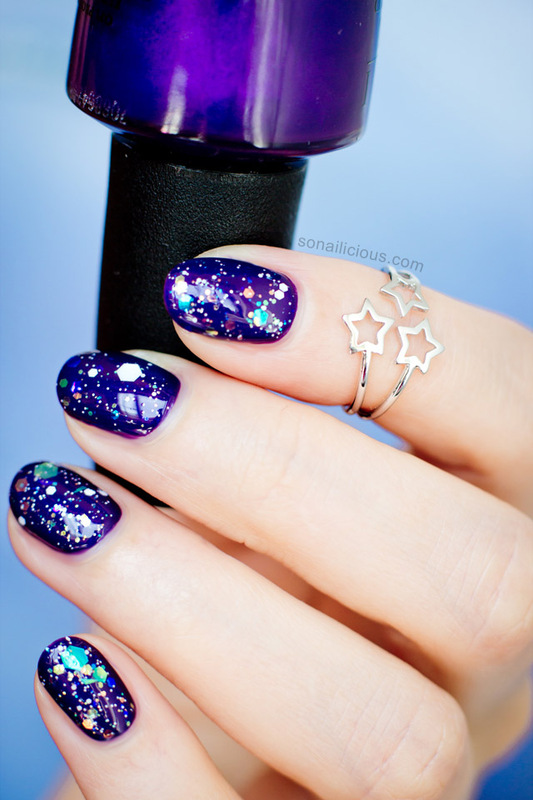 If you like purple colours – grab OPI I Carol About You and if you’re looking for an unusual glitter topper to add to your stash, check out OPI Snow Globetrotter. By the way, these are limited edition colours so get in quick if you’re keen. Availability: now, worldwide. In the USA & Canada– $9.50. here. In Australia, $19.95 via David Jones. Wearing: Shooting Stars ring and Delicate Crown ring. Do you like OPI I Carol About You and Snow Globetrotter? 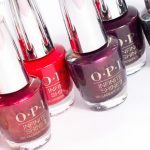 Have you tried any colours from the new Gwen Stefani for OPI collection, what’s your favorite?